The imaginative display toddler play panel allows children and teachers to attach various early learning resources and display them to the whole class. 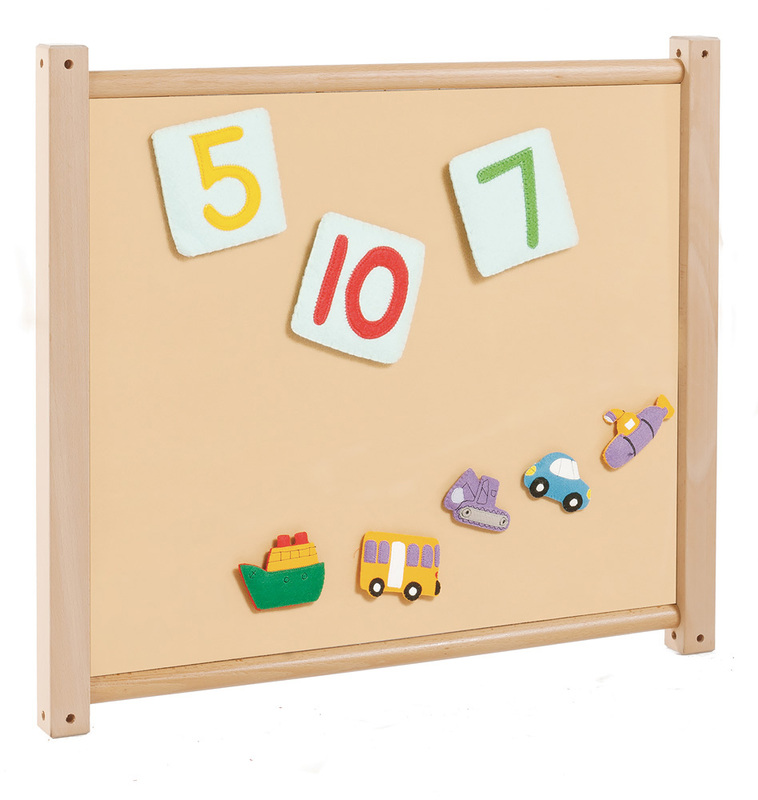 Manufactured sustainably in the UK using high quality hardwood, the toddler display panel comes with a 5 year manufacturer’s warranty as standard. 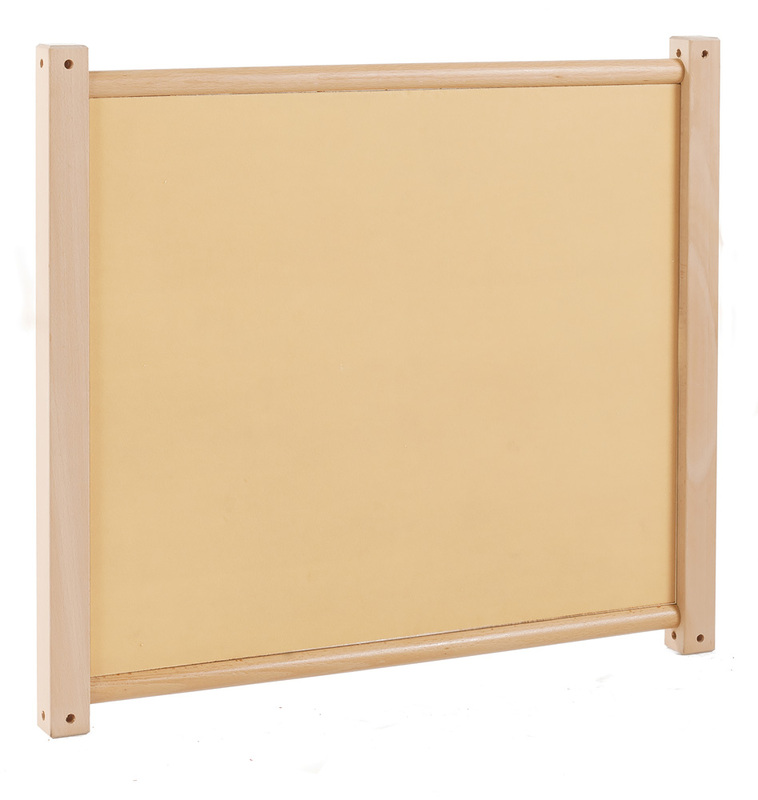 The panel is covered with foam backed loop nylon so you can use Velcro to attach your display materials. 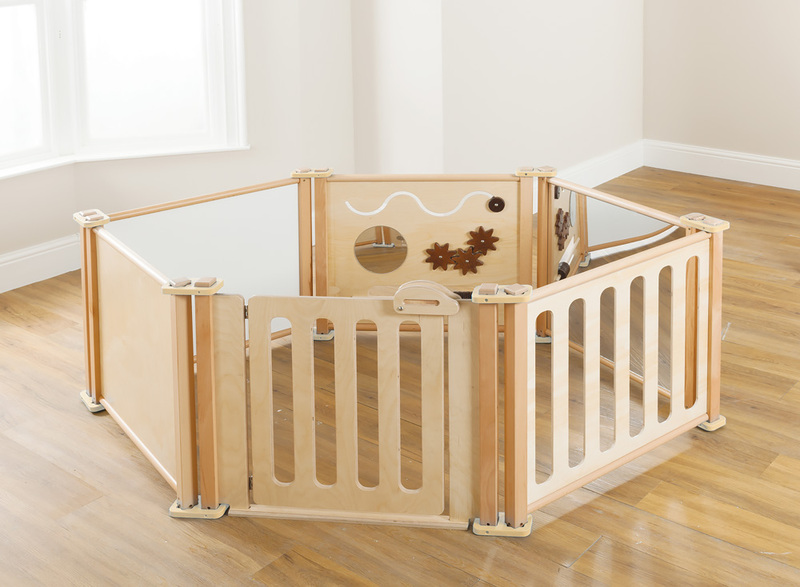 The toddler display panel is compatible with all other panels in the toddler playpen range and can be linked together to create safe activity areas, cosy corners and classroom space dividers. Please note: the toys and play equipment featured in the product images are not included with the toddler play panel display. For more information please Contact Us or call us on 01733 511121.